What basic woodworking tools do I need? This is the question I do get most from people who are just starting their woodworking projects. Frankly speaking, there is no direct and easy answer to this question. It depends on you, your expertise level and your projects. Several times, I answered this question to many beginner woodworkers, so I have a list of tools that might suit you or your expertise level. Before you go with this article, I want to say something about my list. I’m a guy who likes to use power tools in my projects. 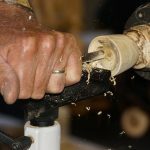 So, this list might frustrate you if you like to work with hand tools. What is your budget for the tools or how much can you afford? And what things are you going to make? Let me elaborate these two mandatory factors that you must know before you go for your woodworking tools. First one is cost. Your budget will tell you what to buy and from where to buy. Do you have low budgets? Then you can check out Craigslist or check out Garage Sales at your locations. From these two places, you will get your necessary tools at low cost. These tools, of course, will not last long as a new tool but it is a good way to go if you have low budget but need high feature tools. Whatever your budget is, if you don’t’ get an answer of the second question before buying the tool, you might also be the person who will find an opportunity to sell your tools at cheaper price in Craigslist. Your second focus will be on what type of projects you’re going to do with your tools. Don’t buy things that is not necessary for your works. It is possible to buy a tool whimsically that you will never use, so be careful before selecting a tool to buy. So, you have the basic knowledge on choosing the right tools for you. Now, I will give my list of tools that you must have in your tool box as a starter. This is the list of tools that you must have as a starter. Even when you’re in the hardware store to buy tools, you might forget to pick these. You need a hammer. Any hammer will do your jobs, but check out what materials are used to made the handles. Is it wooden, steel or fiberglass? And check out the weights of the hammers. All are not equally same weight. This is an obvious tool for woodworkers but what you might know is: you need two different lengths measure tapes for your works. You can use the 25’ measure tape for measuring a room but it’s not perfect to measuring a drawer. Ask me what measuring tapes I use: I use three tapes; 6′, 12′, and 25′. There are two types of speed square in the market. Plastic and Metal. Plastic will cost less but I will suggest you to go with the metal one. Speed square will help you drawing perpendicular lines, finding and drawing angles in some objects. This is an obvious tool for you. Why you need one? You will get a lot of utility knife brand in the market but choose one with extra blades. Switching to the sharper blades while using may save you a lot of time. There are many types of clamps you will get in the market. So, it will not easy for you to select the right one for you. I will suggest you to buy these two clamps: bar clamps and spring clamps. For also clamps, go for the metal ones, not plastic. As a starter you might not have the budget to buy a table saw. In that case, circular saw is the best option. With enough attention and caution, you can do any jobs with your circular saw a table saw can perform. What you need are a long straight edge and two clamps to create accurate and straight cuts with your circular saw. I’m using this circular saw for a long time and it’s working very well for me. You don’t need both. You just need one and that one is a drill machine that can do all the jobs a driver and drill can do. I will suggest you to buy a drill machine that have both drill bit and screw bit and it is at least an 18v set. You can buy also a corded drill. Corded drills are cheaper when compared with the cordless drills and performs very well. Even if you go for corded drills, you may go with a non-branded drill. You will get many types of sanders in the market, but I will suggest you to go with the most versatile one: orbital sander. You can also go for a belt sander but it is not suitable for all. Orbital sanders have different speeds. Using lower speed levels, you can sand in areas well that is not possible with a high-speed level. Choose an orbital sander that have different levels of grits like 80, 150 and 220. The one I use has these levels of grits and performing very well. A normal brand table saw will cost you $200-$500. And if you go for a brand like Delta or Grizzly, a table saw may cost $1000 or more. So as a starter, I will suggest you go for a table saw. So, if your project demands complex works as I mentioned above, go for a table saw. So, that was my list. You might see people referring more tools to buy and that also makes sense. What you need is: answer my first two questions. If your budget and project both demands complex tools, then go for it. Want to check out what basic tools experts suggest to have at your toolbox? Check out these tools selected by Wood Magazine staffs. 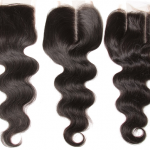 Lace Closure vs. Lace Frontal - Which One to Choose?